Boston Sergeant D.D. Warren and her partner Phil are back at work in this excellent addition to the series. A family of four are shot in their home while their teenage daughter is walking their dogs. D.D. and Phil are called in to investigate. Sixteen-year-old Roxanna never returns to the house. Is she guilty of the crime? Or is she running scared from the killer? Flora Dane is an abduction survivor who runs an unofficial survivor group online. Roxanna had joined the group shortly before the murders. She seemed scared but of who or what? Flora decides to look for Roxanna on the dark side of the law while D.D. and Phil follow official channels. Roxanna wrote a multi-part story of her “perfect” family. Her mother and step-father’s drinking lead the three children to be placed in foster care. Something happens to the two girls, then 11 and 8, that changes their personalities forever. Lola, the younger and prettier sister, begins to act flirtatious to older men. Roxanna acts even more protective of her sister. The family reunites after a year but that alone can’t save this fractured family. The story structure of D.D.’s police procedural, Flora’s coloring outside the lines approach and Roxanna’s apparent fear merge well into a coherent and pulse-pounding plot. 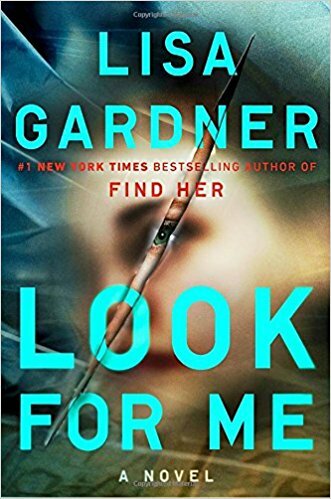 Look for Me is a thrilling look into how a family can be ripped apart by well-meaning government officials. Simple decisions can spiral into life altering results. Look for Me is highly recommended for its mystery but also for its realistic characters and family dynamics. 5 stars!